What makes our bed pads so much better? 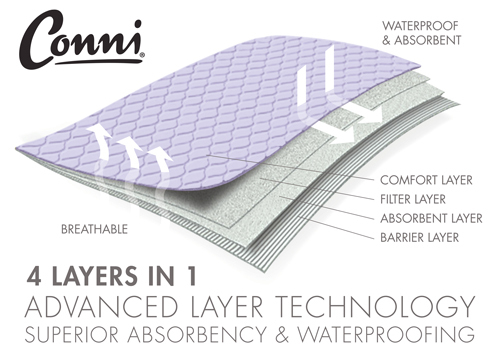 How quickly the moisture passes through the top layer of the pad, the faster this happens the greater the comfort level. How quickly moisture disperses to the outer perimeter of the pad. The faster moisture moves from the centre of the pad where the patient is positioned, the drier the bed pad will feel. The percentage of moisture passing back up through the top of the pad to the surface under pressure. A lower percentage indicates a lesser amount of moisture.